Our entire team at Dougherty DDS is proud to be recognized as a “Green Practice,” and to have received special recognition for our commitment to reducing our carbon footprint. As professionals in our community, we believe in setting a good example to those around us. We are committed to keeping our patients healthy, as well as minimizing our impact on the environment, so future generations can continue to enjoy the natural beauty of our world. Our team strives to push the boundaries of standard environmentally sensitive measures, and to promote green initiatives throughout our practice and our personal lives. Through education and growth, we vow to implement, monitor, and improve the environmental quality of everything we do. Environmentally friendly office products: light bulbs, recycled paper, digital recordkeeping, etc. Dr. Dougherty also co-authored “Environmentally Responsible Dental Office: A Guide to Pollution Prevention and Proper Waste Management in Dental Offices,” which has been distributed to more than three thousand dentists throughout Virginia. 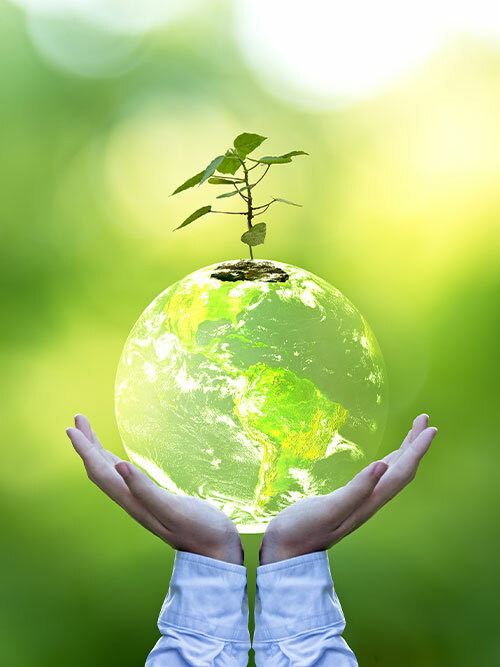 There are many different ways for you to help the planet, including choosing a dental practice dedicated to environmentally “green” practices. At Dougherty DDS, every smile we treat is another smile shared, and a step toward an even greener tomorrow. Ask us about our Green Initiative, and for other ways you can help keep our earth healthy, one smile at a time.